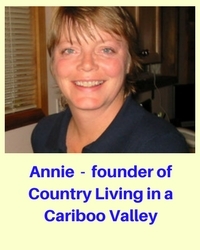 Here in the Cariboo, we have clay based soil that we are always trying to amend. I had never even seen heavy clay soil before we moved here. It was pretty disappointing when we quickly planted a garden after we moved in. We came here at the beginning of June and maybe 3 days later, we had our first garden in. We planted mostly potatoes which are good for breaking up the soil. We didn’t think we would have much of a harvest that year. But the garden did better than we thought it would and we had some beets, peas, salad greens and even pole beans. The pole beans were a mistake here but I didn’t know that. Turns out we only have about 1 month frost free, so I had to put sheets over the pole beans every night. Then I would remove them in the morning. A real pain that was. Now I plant bush beans and use Remay for cold protection. Or I plant pole beans in the greenhouse we built. One of the first books I bought about homesteading and gardening on a larger scale was Carla Emery’s book Encyclopedia of Country Living. I am still often looking something up in this awesome book. It is full of widespread information about different aspects of homesteading – growing food, preserving food, raising animals. There is lots of information about the importance of building your soil. And wow, did our soil need improving. Solid clumps of clay are hard to garden in! You can amend soil by enriching it. Use aged manure or compost. 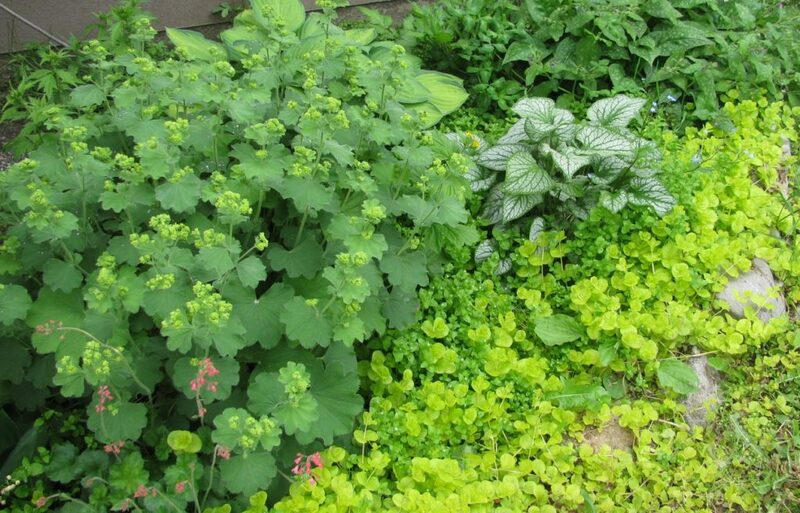 Grow some cover crops that are rich in the nutrients your soil needs. Getting your garden soil tested is a great first step. Here’s what she says about using buckwheat as a form of green manure….buckwheat works very well for us as we have a shorter gardening season (Canada Zone 3) and it matures so quickly. “Buckwheat grows especially well in moist, cool climates and cold areas, from Pennsylvania north into Canada. But is grows acceptably well in many other regions. Here’s an article on Buckwheat we wrote a few years ago. You can learn more about how to use Buckwheat to build up your soil. In addition to the buckwheat and rye, we add as much manure to the garden as possible including pig, chicken and horse. Adding old bedding from animal pens is done as well. The hay/straw breaks down and adds to allow air into the soil. 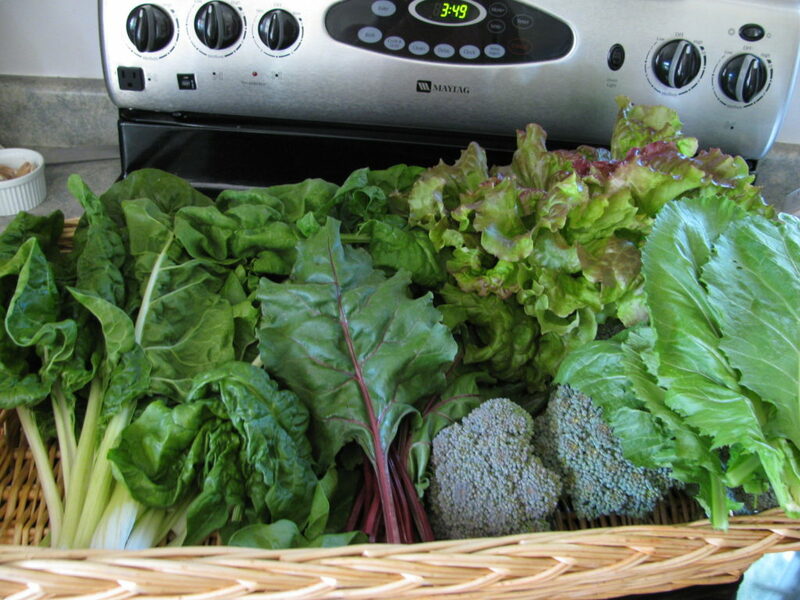 We get wonderful harvests from our gardens. Vegetables, berries, perennial veggies like asparagus and rhubarb – we grow enough to fill our cold room and eat lots of great fresh food! Each year the garden soil has improved and we can tell by the texture. It’s lighter and fluffier than last year, and last year was better than the year before. The more compost, green manure, straw etc we add – the better the soil will become. Want to learn about canning your own food? Read about how to use a pressure canner to can meats and also how to can fish. Lots of good reading here, many thanks! I was researching on yahoo when I observed your post, I’m going to add your feed to Google Reader, I look forward to much more from you. Love your garden! Some day, I hope to have one that size myself. I am working on amending my clay soil in Kansas. One thing that I really like about the clay soil is that it holds water really well. That is a real benefit, since it is so hot here in the summer, and I want to find ways to cut my water use. I have several beds that I started with a 50/50 mix of top soil and compost (purchased), and those beds dry out within about 8-hours. Then I have a couple of other beds that I started using sheet mulch and digging on-site soil (under the sheet mulch) into the sheet mulch to help it compost better. These beds may look dry on the surface, but an inch or so below the top of the soil, it is nice and moist, and the plants in these beds really seem to like it. So, in the future, I will be converting all of my gardens to this type, with a healthy helping of the clay soil. Hi Eleanor, thanks for your comment! I’m glad you are finding a great way to amend your clay soil. Each year, we are still putting lots of composted manure on top of the garden beds here, as well as continuing to sow fall rye and buckwheat. We find that helps a lot! 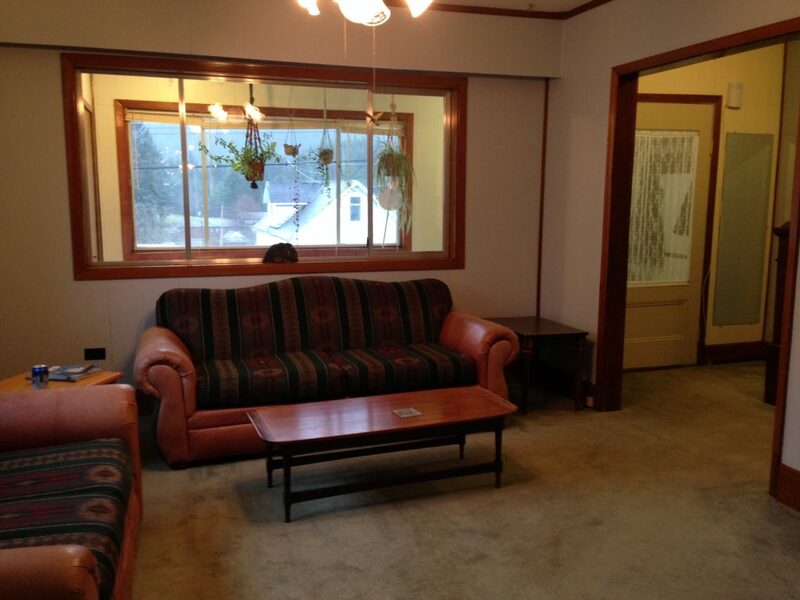 I’ll check out your website! My Grandpa used corn cobs, and tilled them into the clay. My mom said it turned to black soil. I haven’t tried it yet ($ issues), but my grandpa was a smart man, so I’m sure it works. Hi Arlene, I have never heard of that. Of course where I live, we can’t grow fields of corn, so that is probably why! It’s a great idea and you are right….Grandpa’s are smart. Mine was too, he was a great gardener. Thanks for commenting and I hope you will keep reading! i have a swamp of 12 acres,total black clay.i dig a hole it holds water.i have had to top plant everything. have replanted thousands of dollars worth of plants.have heard it all about amending this clay soil.the weird thing is it has thousands of earth worms that you would think would aeriate it,but it doesnt seem to help!i have tilled under mulch and sand and nothing works,when it drys out its like a block of cement. the only tree that has done well without top planting or amending the soil has been willows as they like their feet wet.It would take truck loads of corncobs or other mulch and i dont have that kind of money.had been previously planted with alfafa which is good for soil but also it takes years for it to die out and the roots are a mile long!! ANY SAVVY!! gardners or farmers out there with any helpful advice!???? Hi Ruth Anne, thanks for the comment. Our soil sounds a lot like yours. We have access to a LOT of horse manure, so that is the way we go. If we didn’t, we’d have to have raised beds I would think. It does take a few years to aerate heavy clay soil. Try growing potatoes in there to start breaking up the ground. Add as much leaves, compost, manure etc that you can get your hands on. Also, cover crop/green manure with things like Fall Rye and or Buckwheat. Everything helps. What do you think of white clover as a short season cover crop? It seems to grow pretty well in cool, wet weather and it fixes nitrogen in the soil. Hi Bill, thanks for commenting. Both red and white clovers are great cover crops/green manure. We use it outside of our Garden, in the lawn areas that need to be reseeded. We could certainly use it in the Garden. I like Your Article about How To Improve Clay Soil Perfect just what I was looking for! . 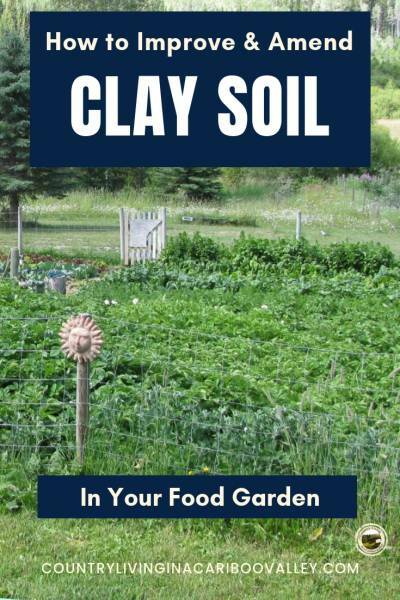 I agree with your How To Improve Clay Soil, great post.